Phase PHASE RÉGIONALE PHASE F.F.F. Par équipe ANTONNE LE CHANGE ST MEDARDAIS STADE 3 A. F.C. A. ST LAURENT BILLER A.C.S. MAHORAIS A.F.PORTUGAIS A.S. A. M. L. P. A.S. AMBAZAC A.S. BEAUTIRANAISE F A.S. L.J.S.M. A.S. LUSITANOS CENON A.S. M-L A.S. NEUVIC ST LEON A.S. PORTUGAIS CHATE A.S. RETHAISE A.S. SEVRES ANXAUMON A.S. ST JUNIEN A.S.F.C. VINDELLE A.S.L.SF.L A.S.M.U.R. A.V. 79 ABZAC US AC KURDE LIMOGES ACG FOOT SUD 86 AGEN S.U AIGRE AS AILLAS AUROS U.S. AIXE SUR VIENNE AS AM COUSSAY AM.S. AVENSAN MOULIS AM.S. MIGNALOUX BEAU AM.S. PUYMOYEN AMBARESIENNE E S AMFC ANAIS US ANDERNOS S. ANDILLY ANGLET GENETS ANGOULEME CHTE FC ANTRAN sl ARDANAVY FC ARDIN ARGENTAT FC ARGENTONNAIS PAYS FC ARSAC LE PIAN ARTHEZ L.AUDEJOS SC ARTIX A.S. AS DU PAYS MELLOIS ASRP ROUFFIGNAC PLAZ ASTAFFORT S.C. AUBINRORTHAIS ES AUBUSSONNAIS EF AUDENGE E.S. AULNAY US AUNIS A.F.C. AV.S. AIFFRES AVAILLES EN CHATEL. 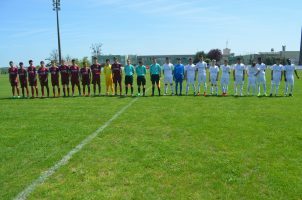 AVIRON BAYONNAIS FC AYTRE B.E.C. BAIGNES US BARPAIS F.C. BARRAGES XAINTRIE BASSENS C.M.O BASSIN ARCACHON FC BASTIDIENNE S.C. BAYONNE CR. BEAULIEU BREUIL ES BEAUMONT ST.C BEAUMONTOIS PAYS FC BEAUNE LES MINES US BEAUVOIR BEGLAIS C.A. BELIN BELIET BELLAC JUNIEN COMBES BELVES BENEVENT MARSAC ES BERGERAC LA CATTE BERGERAC PERIGORD FC BESSINES ASPTT BESSINES-MORTER US BEYNAT AS BIARRITZ J.A. BIAS F.C. BISCARROSSE O. BLANQUEFORT E.S. BLANZAY BLAYE STADE BOCAGE ES BOE BON ENCON ENT. BOIVRE S.C. BORDEAUX S.BR BOUCAU ELAN BOULAZAC E.S. BOULIACAISE F.C. BOURGANEUF USC BOUSSAC CS BRANTOME C.A. BRESSUIRE FC BRETAGNE A.S BRION 79 US BRIVE ESA BRUGES E.S BUSLAURS THIREUIL BUXEROLLES ES C. O. S. M. DU LARY C.A. SALLOIS C.A. ST SAVIN ST GER C.O. COULOUNIEIX CHA C.O. LA COURONNE C.S. BUSSAC FORET C.S.G. F.C. CA F.C. CABARIOT CADAUJAC SC CAP AUNIS A.S.P.T.T. CARBON BLANC C.A. CARRES SALIES FC CASSENEUIL AV. F. CASTELJALOUX F.C. CASTETIS GOUZE U.S. CASTETS DORTHE C.A. CAUDERAN AGJA CAUDROT Vaillante CAZAUX O. celles verrines es CENDRIEUX LADOUZE CENON/VIENNE CERIZAY CO CERNAY FC CESTAS SAG CHAMBERET AS CHAMBERY A.S. CHAMBERY R.C CHAMBOULIVE Ca CHAMOIS NIORTAIS CHAMPDEPAMPLI CHAMPNIERS ES CHANTECLERBDX CHANTELOUP CHAPELLE CHARROUX MAUPREVOIR CHATAIN cs CHATEAU L EVEQUE CHATEAUNEUF NEUVIC CHATELLERAULT CHAURAY FC CHAUVIGNY US CHENERAILLES CO CHICHE FC CIBOURE F.C. CIVAUX COLAYRAC F.C. CONDAT S.VIEN CONDAT. CONFLUENT F47 CONFOLENS FC COQS ROUGES BX CORNIL FRJEP COSNAC FC COTEAUX BORDELAIS FC COTEAUX BOURGEAIS COTEAUX DORDOGNE AS COTEAUX LIBOURNAIS F COULONGES TH. COUZEIX CHAPTELAT US COZES AS CREUSE AVENIR 2005 CROUTELLE F.C. DISSAY CS DOAZIT F.C. DONZENAC US E.F.C. DB2S E.H. VALS SAINTONGE E.S. BOISME CLESSE E.S. BRION ST SECOND E.S. LA PALLU E.S. NOUAILLE E.S. OYRE DANGE E.S. THENACAISE E.S.A.B 96 FC E.S.F.F. E.S.P.B. E.S.T.L. ECHIRE ST GELAIS AS EGLETONS CA ELAN CHARENTAIS ES ENCLAVES DU PLATEAU ENT. TROCHE/VIGEOIS ENT.S. FAYENOIRTERRE ES.BEAUBREUIL ESPOIR SUD VIENNE ESTUAIRE HTE GIRONDE ET.S. CANEJAN ET.S. CHATEAU LARCHE ET.S. EYSINAISE ET.S. MONTOISE EVAUX BUDELIERE ES EXCIDEUIL/STM EXIREUIL EXOUDUN EYMOUTIERS F.A. BOURBAKI PAU F.C. A.S.M. F.C. 2C F.C. AIRVO ST JOUIN F.C. ATLANTIQUE F.C. BOUTONNAIS F.C. CANTON D ORADOU F.C. COLY F.C. FLEURE F.C. FONTAINE LE COM F.C. LONS F.C. MONTAMISE F.C. NORD 17 F.C. OLORON BEARN F.C. PAYS DE L OUIN F.C. PINEUILH F.C. ROUILLE F.C. SAINT AVIT F.C. ST BRICE S/VIEN F.C. ST VIVIEN MEDOC F.C. SUD CHARENTE F.C. USSON ISLE F.C.C.L F.C.V. LOT VILLENEUV FACTURE BIGANOS FARGUES U.S. FAUX F.C. FC GRAVES FC OBJAT FEYTIAT CS FLEAC ES FLOIRAC C.M. FONTAFIE FC FONTCOUVERTE ALFC FRATERNELLE LANDIRAS GAN F.C GATI FOOT GELOSIENNE VAILLANTE GENSAC MONTCARET A.S GIRONDE REOLE FC GIRONDINS BORDEAUX GONTAUD U.S. GOUZON AVENIR GRADIGNAN FC GUE DE SENAC F C GUERETOISE ES HAGETMAU F.C HASPARREN F.C. HAUT BEARN HAUTE CHARENTE FC HAUTEFORT HENDAYE HIRIBURUKO AINHARA S HT VAL de SEVRE fc ILLATS U.S. INGRANDES AS ISLE J.A IZON VAYRES FC J.S. CHAMBONNAISE JARDRES JARNAC SPORTS JAUNAY CLAN US JONZAC ST GERMAIN FC JS ANG. BASSEAU JS GRANDE CHAMPAGNE JUGEALS NOAILLES JURANCON L ESPINASSE LA BACHELLERIE US LA BREDE FC LA CJAPELLE VIVIERS LA CRECHE US LA JARRIE FC LA JEANNE D ARC DE D LA LAURENCE R.C. LA RIBERE F.C. LA ROCHE L ABEILLE LA ROCHE-RIVIERES LA ROCHELLE ES LA ROCHELLE OPMVS LA SOUTERRAINE ESM LA THIBERIENNE LABENNE O.S.C. LABOUHEYRE FC LACAJUNT/GEAUNE LAGORCE U.S LALUQUE RION LANDES GIRONDINES F. LANGON F.C. LANTONNAIS C.S. LARCHE LA FEUILLADE LE DORAT us LE HAILLAN A.S. LE PALAIS S/VIENNE LE TAILLAN A.S. LE TALLUD EVEIL LE TEICH JS LEGE CAPFERRET US LEIGNES/FONT LEMBRAS 3 VALLEES LEROY ANGOUL. LESCAR F.C LESPARRE MEDOC FC LESSAC US LEZAY US LIBOURNE FC LIGUGE LL LIMENS JSA LIMOGES ASPTT LIMOGES FC LIMOGES LAFAR LIMOGES LANDOUGE LIMOGES ROUSSILLON LINARS ES LORMONT U.S. LOUZY ES LUDONAISE US LUSIGNAN USM LUY DE BEARN F.C. MACAU SJ MAHORAIS BRIVE MALEMORT ASV MANSLE CR MARCELLUS COCUMONT MARENNES US MAREUIL/BELLE MARMANDE FC MARSAN USM MARTIGNAS ILLAC MAS A.C. MATHA AVENIR MAULEON MAUZE RIGNE SA MAUZE SUR MIGNON MAZERES-RO ES MEDOC COTE D ARGENT MEDOC OCEAN F.C. MEES FC MEILLON ASSAT NARC E MERIGNAC ARLAC E. MERIGNAC SA MERINCHAL USS MERPINS AS MEYMAC CA MEYRALS U.S. MIRAMONT LAVERGNE MONBAZILLAC SIGOULES MONCOUTANT SA MONS AS MONSEGUR S.C. MONTBRON USA montendre fc MONTESQUIEU FC MONTGUYON MONTIGNACOISE E.S. MONTMOREAU AJ MONTMORILLON UES MONTPON.MENESPLET FC MONTREM MORCENX C.A. MORLAAS EST BEARN FA MORNAC ES MOUGON es MOUTHIERS SC N. SOUCHE NAINTRE CS NANTIAT US NAY VATH VIELHA NERAC F.C. NERSAC F.C. NEUVILLE NEXON AS NIEUIL L ESPOIR JS NIEUL 87 AS NIEUL SUR MER ASM NIORT PORTUGAIS AS NIORT ST FLO NONARDS ES NONTRON ST PARDOUX NORD GIRONDE US NORD VIENNE US NUEILLAUBIERS FC OCCITANE FC OEYRELUY ESPERANCE OLERON FC ORTHEZ EB PANAZOL AS PARDIES O. PAREMPUYRE C.A. PARENTIS F.C. PARTHENAY VIENNAY RC PATRONAGE BAZADAIS PAU BLEUETS PAU FC PAU J.A.B. PAU PORTUGAIS U.S. PAUILLAC STADE PAYROUX PAYS DE MONTAIGNE PAYS EYRAUD LE FLEIX PAYS THENEZEEN PERIGNY FC PERIGUEUX F. PERSAC PESSAC ALOUETTE ASC PESSAC STADE U.C. PEYEHORADE S. SECTIO PINBRECIERES ES POEY LESCAR POIT.BAROC POIT.PTT POITIERS 3CIT POITIERS CEP POITIERS STADE FC POMPAIRE LOGE PONDAURAT C.A PONT D.C.FOULAYRO PONTONX A.S. PORT STE MARIE FEUGA PORTES ENTRE 2 MERS PORTUGAIS C.S PRIGONRIEUX F.C. PYRENEENNE E.S. R.C. BORDEAUX RAZAC/L ISLE RIBERAC CA RILHAC RANCON CA ROCHEFORT F.C. ROQUEFORT FC ROQUEFORT U.S. ROULLET FC ROYAN VAUX AFC RUELLE OFC S.C. A.L.-M.C. S.C. ST SYMPHORIEN SAINT SEVER S.A. SAINTES ES SALIGNACOIS PAYS FEN SALLES D ANGLES AS SANILHACOIS S.A. SARDENT SC SARLAT MARCILLAC F.C SAUVETERRE AS SAVIGNAC JOYEUSE SEIGNOSSE CAPB SOUST SEMUSSAC SILLARS SIREUIL JS SMARVES 1936 FC SOYAUX AS ST AGNANT VERSILLAT st amand sur sevre ST ANDRE CUBZAC ST ANGEAU CS ST AUBIN DE MEDOC AS ST AUBIN LE CLOUD CA ST AUVENT FC ST BENOIT ST CERBOUILLE ES ST CHRIST.DOU ST CHRISTOPHE ST CLEMENT US ST DENIS DE PILE U.S ST EMILIONNAIS ST FIEL US ST GENEST 86 CO ST GEORGES CT ST GEOURS L.M ST GERMAIN FREP ST HILAIRE VENARSAL ST J. ANGELY ST J.DE LUZ ST JAL FC ST JEAN MISSE fc ST JULIEN L. ST L.D ARCE/ST GERV. ST LAURENT CO ST LAURENT HO ST LEGER DE M ST LIGUAIRE NIORT OL ST LOUBES F.C. ST MARTIN.GEL ST MAURICE GENCAY E. ST MAURICE LA SOUT. ST MEDARD EJ ST MEDARD SC ST PALAIS SPORTS ST PALAIS U.S. ST PANTALEON AS ST PARDOUX BREUIL AS ST PAUL SPORT ST PIERRE DU MONT ST PIERRE ECHAUBR. ST ROBERT E ST ROGATIEN FC ST SAUVEUR ST SEVERIN/PALL. ENT ST SULPICE CAM. ST SULPICE LE GTOIS ST VAUTY US ST VICTURNIEN ca ST VINCENT CONNEZAC ST YRIEIX AS ST-BRICE AL ST-MAR.SEIGNA ST-MICHEL CS ST-VINCENT FREP ST. RUFFEC STADE BORDELAIS STADE MONTOIS STE FEREOLE Ss STE HELENE CA STE NEOMAYE ROMANS SUD GIRONDE FC TALENCE ALLIANCE US TARGON-SOULIG TARNOS AS TARTAS SY FC TERVES ES THENON LIMEYRAT FC THOUARS THURE BESSE US TOCANE ST APRE U.S. TONNAY BOUTON TONNEINS F.C. TOUR S. MERLES BLANC TRELISSAC FC TULLE FOOT CORREZE U. FRATERNELLE BARBE U.A. COGNAC FOOT U.S ARTIGUAISE U.S. ALERTE ST AIGUL U.S. BERUGES U.S. BOUSCATAISE U.S. CENON RIVE DROI U.S. CHASSENEUIL U.S. CHATEAUNEUF U.S. COMBRANSSIERE U.S. COURLAY U.S. COUTRAS U.S. FELLETIN U.S. LA GEMOZE U.S. LAMOTHE MONGAUZ U.S. MARIGNY ST LEGE U.S. MIGNE AUXANCES U.S. MUSSIDAN ST MED U.S. P.M. U.S. PONS U.S. SAUJON U.S. ST LEONARD DE N U.S. VIVONNE F. U.S.A. VERDILLE U.S.F.25 U.S.R.M. U.S.S.V.P. US ANG. ST MARTIN US CCS US DE L ENVIGNE US ST BAZEILL US.JSA/CPA USSAC ES USSEL ES USTARITZ Labourdins VAL DE BOUTONNE FOOT VALDIVIENNE AS VALLEE OUSSE valliere us VARETZ AC VASLEENNE US VENISE VERTE CS VERDELAIS E.S VERGENTONNAISE US VERINES VERNEUIL VIEN VERRIERES VICQ/G. VILLAC. VILLANDRAUT PRECHAC VILLENAVE J. VIOLETTE ATURINE VIRAZEIL PUYMICLAN VOUILLE VOUILLE 79 STADE voulmentin st aubin VRERE st leger de m VRINES FC YGOSSAIS ST. YVRAC J.